RATHBUN, EDWARD WILKES, businessman and politician; b. 5 Oct. 1842 in Auburn, N.Y., second son of Hugo Burghardt Rathbun and Louisa Storm; m. first 18 Nov. 1863 Elizabeth How Burt (d. 1871), and they had a son and a daughter; m. secondly 11 June 1873 Bunella McMurrich, daughter of John McMurrich*, and they had three sons and three daughters; d. 24 Nov. 1903 in Deseronto, Ont. Edward Wilkes Rathbun received his early education in New York City and gained business experience there in the offices of Storm, Smith and Company, East India merchants. In 1848 his father and two partners from Auburn had come to Upper Canada, and the next year they established a sawmill on the Bay of Quinte at Mill Point (named Deseronto in 1881). 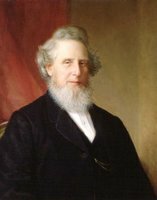 Following the dissolution of the partnership, young Edward came to Mill Point in 1862 and two years later became manager of his father’s firm. When the sawmill burned in 1872, the Rathbuns erected the Big Stone Mill, which, drawing upon timber limits that extended as far as the Parry Sound region, could produce 50 million board feet of lumber annually. According to the Napanee Beaver in 1881, the enterprise had 575 square miles of limits, retail yards throughout Ontario, and extensive docking facilities at Oswego, N.Y. Two years later the firm was incorporated as H. B. Rathbun and Sons, with Edward as president and general manager. In 1886 his father died, leaving him solely in charge. The expansion of the Rathbun enterprises continued unabated throughout the 1880s and the 1890s. 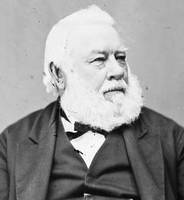 The takeover in 1883 of the Napanee, Tamworth and Quebec Railway, with later extensions to reach Tweed, Kingston, and the Grand Trunk and Canadian Pacific lines, enabled Rathbun to link his industries to sources of supply. The flour-mill, for instance, now received western grain directly by rail. In 1887 a railway-car works was in operation, a terracotta plant, the first of its kind in Canada, commenced production of fire-proofing material from local clay and sawdust, and a wood-distillation works began making alcohol and charcoal from waste hardwood railed directly to the kilns. Within a few years Rathbun engineer Matthew Joseph Butler* was experimenting with the manufacture of Portland cement (used for modern-day concrete) at Strathcona, on the NTQ line. Another cement plant was built at Marlbank; the two works used on-site deposits of marl and clay, both necessary ingredients. According to the 1905 Report of the Ontario Bureau of Mines, the first Portland cement in Canada was produced by Rathbun’s company in 1891 “after five years of experimental manufacture.” From these enterprises emerged the Canada Portland Cement Company, incorporated in 1900 with Rathbun as first president. By that time he had become a millionaire, a trustee of Queen’s College in Kingston, and governor of its school of mining. A devout Presbyterian, he was superintendent of the Union Sunday School in Deseronto for 42 years. Deseronto during the Rathbun era was a classic company town. Rathbun himself was mayor from 1889, when it was incorporated as a town, to his death; his brother Frederic Sherwood was treasurer and postmaster. The Rathbun firm paid almost half the municipal taxes. The town cemetery, concert hall, park, and church lands had all been donated by the Rathbun family; the street-lights, fire department, band, newspaper, and telephone system were also provided by the firm. For many years employees were paid in scrip, redeemable at the company store. The workers’ homes and the appearance of the town were evidence of the deep paternal interest Rathbun had in the welfare of his employees. 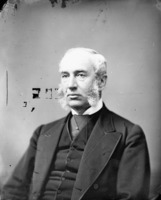 Following the Liberals’ federal victory in 1896, Rathbun became a Laurier man, partly because of his continuing need for patronage. The shift also reflected Rathbun’s growing role as a lobbyist for the Ontario Lumberman’s Association after 1897, when the Dingley tariff in the United States reimposed a duty on Canadian lumber but allowed sawlogs to enter free. With John Bertram he promoted a manufacturing condition: a protectionist policy designed to discourage the export of raw materials, and to stimulate the development in Canada of secondary manufacture in forest products. 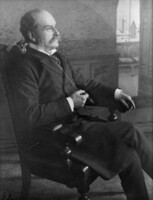 At the same time Rathbun, along with Bertram, Alexander Kirkwood, and others, was appointed in 1897 to a provincial commission to investigate plans for perpetuating the timber crop through selective cutting and fire protection. Convinced of the need for conservation and “practical forestry,” Rathbun was a founding director of the Canadian Forestry Association. Rathbun’s final business venture, an iron-smelting furnace in Deseronto that utilized charcoal from his chemical works, was launched in 1898 and commenced production a year later. The federal budget of 1897 had provided encouragement in the form of a bounty on Canadian iron and steel manufacture. The operation could not be sustained, however, and shut down shortly after 1903. Other problems beset Rathbun in his last years, including disastrous fires in 1896 and 1898, which destroyed docks, lumber, the flour-mill, and the terracotta factory. His search for new timber reserves had foundered in 1891 when he failed to acquire Gilmour and Company at Trenton [see Allan Gilmour*] and its timber limits. Within a decade of his death in 1903, financial problems had led to the sale or closure of the Portland cement factory, the ironworks, and the Rathbun railway network. An obituary in the Canadian Engineer described Edward W. Rathbun as a “captain of industry . . . who fearlessly exploited new ideas and new methods.” Though his industrial empire ultimately collapsed, he remains important as a 19th-century Canadian entrepreneur who sought to make his forest operations permanent through progressive methods of forestry, utilization of waste-wood products, and the imaginative development of wood-related secondary industries. Edward Wilkes Rathbun published two pamphlets on the lumber and pulp question, Shall we place an export duty on sawlogs and pulpwood? ([Deseronto, 1897]) and The conference and the lumber question from a Canadian viewpoint (Deseronto, 1898), the texts of which are found in two typescript letters in the Laurier papers at NA, MG 26, G: 15183–94 and 26734–46, respectively. Two additional pamphlets on political matters issued by Rathbun are listed in Canadiana, 1867–1900 and the CIHM Reg. AO, F 23. NA, MG 26, A; G. J. E. Morrison, “The Rathbun story,” Napanee Beaver (Napanee, Ont. ), 23 Jan.–8 May 1963. Napanee Beaver, 9 July 1881. Standard (Napanee), 1873–86. Tribune (Deseronto), 1883–1903, esp. 4 Feb., 15 April 1898; 25 Jan. 1889; 27 Nov. 1903; also clipping in the possession of Mrs Rathbun, “Iron works destroyed,” from issue of 4 Sept. 1908, which is no longer extant. Can., Statutes, 1883, c.89. Canada Lumberman (Peterborough, Ont. 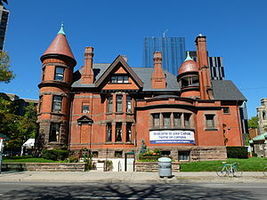 ; Toronto), 2 (1881)–24 (1903). Canadian Engineer (Toronto), 11 (1903): 349. J. A. Eadie, “Edward Wilkes Rathbun and the Napanee, Tamworth and Quebec Railway,” OH, 63 (1971): 112–30. P[eter] Gillespie, “Cement industry of Ontario,” Ont., Bureau of Mines, Report (Toronto), 1905: 118–83. D. F. Hewitt, “The Portland cement industry in Ontario,” Ont., Dept. of Mines, Industrial Mineral Report (Toronto), no.25 (1968). Nelles, Politics of development. Northwestern Lumberman (Chicago), 5 Sept. 1891. Rathbone genealogy; a complete history of the Rathbone family, dating from 1574 to date, comp. J. C. Cooley (Syracuse, N.Y., 1898). A. C. Tagge, The cement industry in Ontario (Montreal, 1924). Larry Turner, “Background paper on the Rathbun Company” (research paper prepared for Ont., Ministry of Natural Resources, 1977; copy at Lennox and Addington Museum, Napanee). James A. Eadie, “RATHBUN, EDWARD WILKES,” in Dictionary of Canadian Biography, vol. 13, University of Toronto/Université Laval, 2003–, accessed April 24, 2019, http://www.biographi.ca/en/bio/rathbun_edward_wilkes_13E.html.